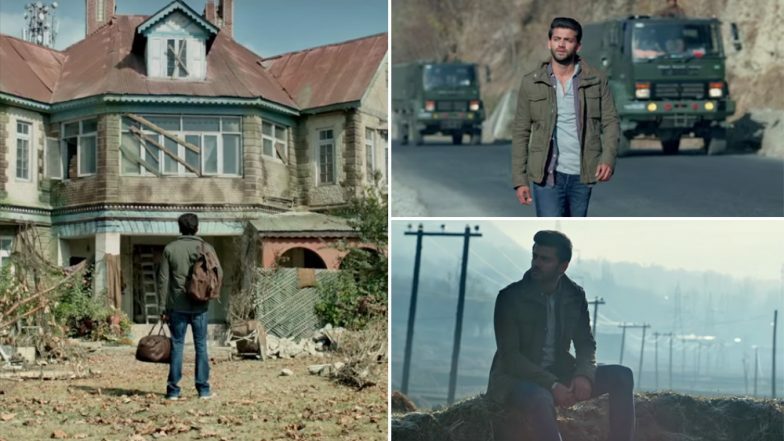 Safar, a brand new song from Zaheer Iqbal and Pranutan Bahl's Notebook is out and it is one of the best from the album so far. To begin with, it has been a while since we heard Mohit Chauhan and it is refreshing to hear him once again. The newly released number has Zaheer Iqbal going on his journey trying to find out answers to life's unanswered questions. He embarks on this safar (journey) to find out what life has in store for him. Like they rightly say, sometimes you need to be lost to be found. The track has been shot in some beautiful, scenic locales that make the video a visual treat. Unlike its other songs, Safar from Notebook doesn't have Pranutan Bahl as a part of it. It's a beautiful number that will eventually grow on you and the credit definitely goes to Mohit for it. Notebook Song Main Taare: Salman Khan Describes Zaheer Iqbal and Pranutan Bahl's Extraordinary Love Story Perfectly - Watch Video. The film has been shot extensively in the backdrops of Kashmir. Zaheer Iqbal who hails from a non-filmy background happens to be the first member from his family to set his foot in Bollywood. Debutant actress Pranutan, who incidentally is the granddaughter of late actress Nutan, was a lawyer by profession but always aspired to be an actor and hence chose it to further her career interests. Helmed by National Award winning director Nitin Kakkar and produced by Salma Khan, Murad Khetani and Ashwin Varde, Notebook is all set to release on March 29.